Assuming you want to maximize your sports performance, what's your ideal body weight? As the New York Times points out, "slimmer doesn't always mean fitter." There have been few direct tests of the body-weight effect, said Hirofumi Tanaka, an exercise physiologist at the University of Texas at Austin. Most of them were done in the 1970s and involved subjects who were asked to run with weights on their backs or ankles. Sure enough, the heavier the people were, the tests showed, the harder they had to work to run at a given speed. But the runners’ forms were not affected by the extra weight, Dr. Tanaka said. That means that you would probably run the same way if you were heavier. But it would be a lot harder to run at your usual pace, and you’d end up running more slowly. How much is less clear. Beth Parker, the director of exercise physiology research at Hartford Hospital in Connecticut, said that, for runners, the general rule is that a 1 percent reduction in weight leads to a 1 percent increase in performance. 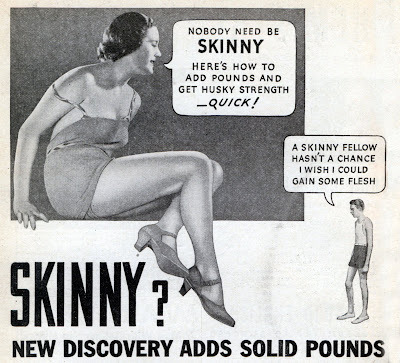 So, why not just be as thin as you can be? The problem is that everyone has a point at which further weight loss actually makes their performance worse, said Dr. Mark Tarnopolsky, a muscle metabolism researcher and physiologist at McMaster University in Ontario. Dr. Tarnopolsky, who is a nationally ranked athlete in winter triathlons, adventure racing and ski orienteering, said that people vary so much that there is no formula to figure out the perfect weight. It turns out that a long process of trial and error is required to figure out your ideal weight for sports performance. Personally, I don't have the patience (or need) to determine what number on the scale I should target. I'm just glad I'm lighter than I was five months ago -- otherwise, Insanity might have killed me.